Capt. 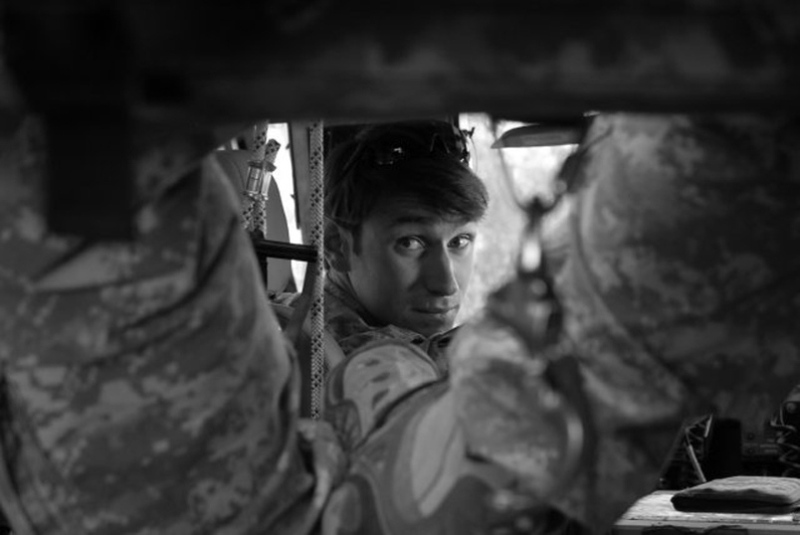 William Swenson sits in Task Force Chosin mine-resistant, ambush-protected vehicle while conducting a shura, or Muslim consultation, in October 2009. William D. Swenson was awarded the Medal of Honor Tuesday for his “extraordinary heroism” in a lengthy battle against the Taliban in the Ganjgal valley near the Pakistan border on Sept. 8, 2009, which claimed the lives of five Americans, 10 Afghan army troops and an interpreter. At the time, Swenson was an embedded trainer and mentor with the Afghan National Security Forces in Kunar Province in eastern Afghanistan. He risked his life to recover bodies and help save fellow troops. Some of Swenson’s actions were captured in a helmet-cam video. President Obama, in announcing the award at the White House, noted this may be the first time a recipient’s actions were captured on film. It was also the second time in nearly a half-century that two survivors of the same battle were given the Medal of Honor. Another man who fought in the battle, Marine Cpl. Dakota Meyer, was awarded the Medal of Honor in 2011. Owner and Designer of Devil Dog Graphix. This entry was posted in Military News and tagged afghan troops, afghanistan, captain william swenson, cpl dakota meyer, ganigal valley, medal of honor, operation enduring freedom, united states army, us army, white house. Bookmark the permalink.